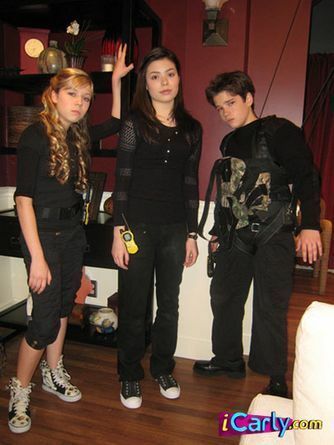 Carly, Sam, and Freddie. . Wallpaper and background images in the iCarly club. This iCarly photo might contain mahusay bihis tao, suit, pantalon suit, pantsuit, mahabang pantalon, mahabang pantalon, and pantleg. OMG!!! Its icarly on Fanpop wow!!!!!!!!!!!!! OMG THEY SO YOUNG THERE 2YRS AGO! !